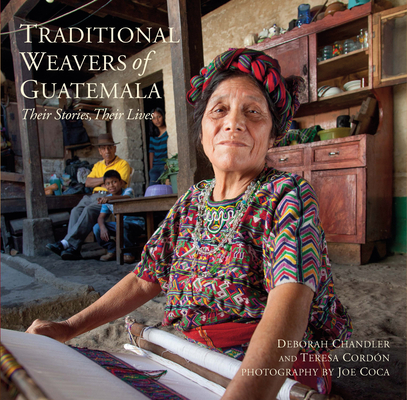 Against the backdrop of Guatemala, this book presents portraits of artisans working in the ancient traditions of the Maya paired with insights into the creation of the textiles and the events that have affected their work. Weaving, spinning, and basket making have sustained the Maya economically and culturally against the pressures of change and a 36-year civil war that decimated their population. Their persistence in continuing traditional art has created some of the loveliest, most colorful textiles the world has ever known. Artisans share their personal histories, hopes, and dreams along with the products of their hands and looms. Their stories show determination in the face of unimaginable loss and hardship which instill an appreciation for the textiles themselves and for the strong people who create them. Deborah Chandler is the creator and director of Weaving Futures, where she has had the pleasure and honor of working with many Mayan weavers. She is the author of Learning to Weave. She lives in Guatemala. Teresa Cordón is the owner of the award-winning Comercial Naleb, a handwoven hat business. She is an avid provider of education and marketing for the work of Mayan artisans. She lives in Guatemala. Joe Coca is a photographer of people from all walks of life over five continents, industrial products and installations, architecture, food, and especially handcrafted textiles and other artisan goods. He lives in Fort Collins, Colorado.